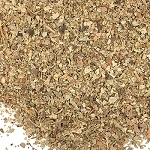 Bulk Wholesale Loose Leaf Tea | San Francisco Herb Co. When it comes to bulk loose tea, SF Herb always selects the highest quality product and provides them at the best value to customers. Our line of white, green, black, oolong, pu-erh, and herbal teas offer unique and satisfying flavors in every cup. Relax with a steaming mug of peppermint tea, or enjoy an aromatic fruit blend for a more contemporary flavor. 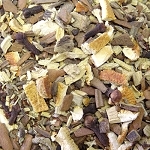 Whichever you choose, you can be sure to find the wholesale loose leaf tea that fits your needs. 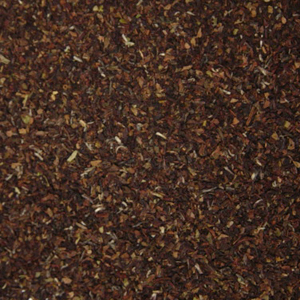 Interested in purchasing bulk loose leaf tea? Browse our tea leaves, tea bags, and tea accessories below! Discounts do not apply to Product ID with *. Click on Description for more information. 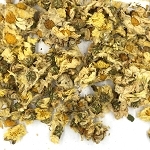 White tea comes from the leaves of the tea plant, Camellia sinensis, that are picked when the leaf buds are immature. 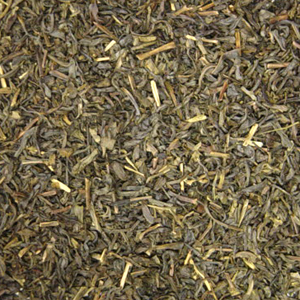 These leaves are lighter in color, hence the term "white" tea. 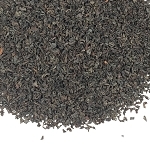 White tea is reputed to be richer in antioxidants than green, oolong, and black teas. 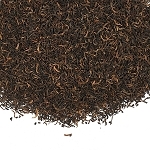 Does bulk loose leaf tea have a shelf life? 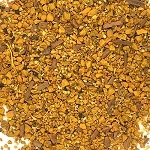 You should use your bulk loose tea within a year of purchase. 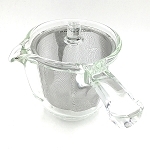 True teas (from the plant Camellia sinensis) should be stored in glass or tin. Tea may also be frozen in protective packaging if planning to store for longer than one year. Green tea originates from the tea plant (Camellia sinensis). After the tea leaves are plucked, they are steamed or heated to halt the oxidation of the leaves. This prevents the leaves of the tea plant from darkening as they oxidize — which is what produces both oolongs and black teas. How much caffeine does tea have? 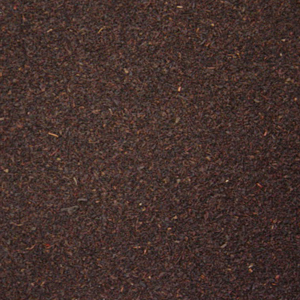 The loose tea we have for sale offers varying levels of caffeine. White and green teas generally have less caffeine than oolongs, and black teas usually have the most. Compared to coffee, tea has about half or less the caffeine per cup. There are some claims that you can remove as much as 80% of the caffeine from your tea by "washing" the leaves (steeping your leaves with hot water for 30 seconds and then immediately draining) before steeping the cup of tea you’ll drink. The most definitive answer we have come across on this topic is from a 2008 study by the research and materials company ChromaDex, which found about a 30% decrease in caffeine content utilizing this method. What are the differences among your green teas? Dragonwell #4 - A full leaf green tea from China. It has a complex, mellow, green flavor. 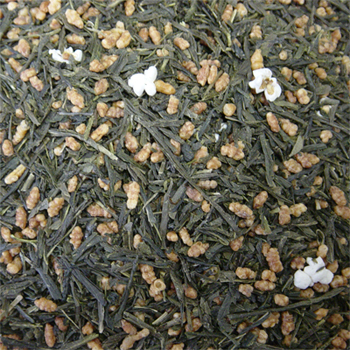 Genmai Cha - A blend of full-leaf Bancha green tea and toasted rice from Japan. 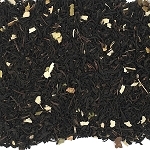 It is a wholesome mellow tea with a slight nutty flavor from the toasted rice. Gunpowder - A tightly machine-rolled green tea leaf from China. It has a robust, sharp green flavor with a subtle undertone from the pan-firing. 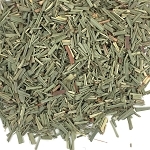 Jasmine - A traditional jasmine green tea which has been flavored/scented with jasmine petals. 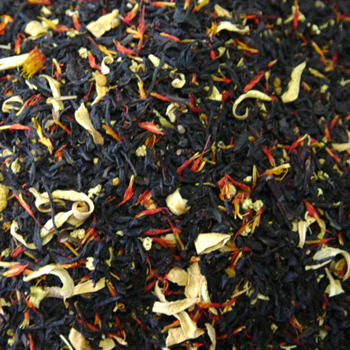 The jasmine gives the tea a pleasant aroma and subtly floral, sweet flavor that lingers. 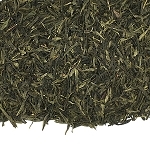 Mandarin - A whole-leaf flavored sencha green tea that has subtle, sweet, citrus notes. Panfired - A slightly stemmy basic green tea from Taiwan. It has a classic green tea taste. 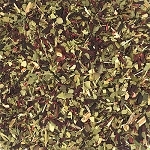 Pomegranate - A whole leaf sencha green tea from China blended with rose petals and pomegranate flavor. It produces a cup with a sweet berry/pomegranate flavor over the mellow green tea taste. Sencha - An organically-grown Chinese green tea that is grown and processed using Japanese methods. Steamed instead of pan-fired, the resulting flat, shiny leaf brews a crisp and green/grassy cup that is mildly bitter. Young Hyson - A classic green tea. 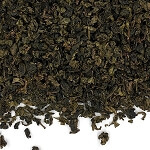 This curly, pan-fired leaf brews a pungent golden cup with great strength and body for a green tea with a hint of sweetness within its vegetal and nutty character. 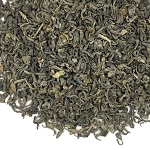 Yun Wu (Cloud Mist) - A long, wiry, twisted leaf green tea from China. It has a vegetal, grassy taste. 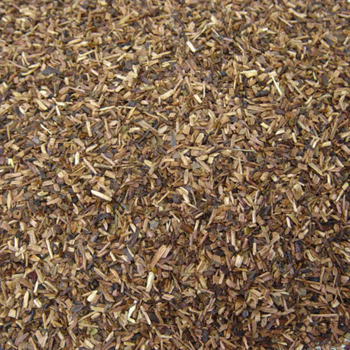 A tisane (or ptisan) is a synonym for an herbal tea. 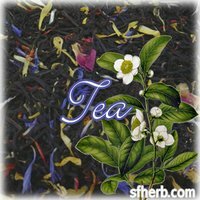 This word is often used to describe herbal infusions that have no true tea in them (i.e. no leaves from the plant Camellia sinensis). 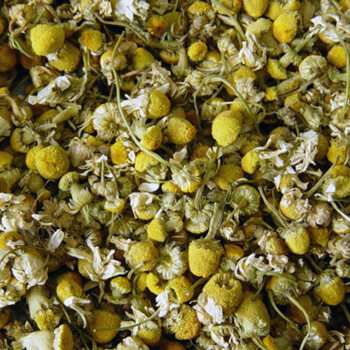 Examples of popular tisanes include Chamomile, Peppermint, and Rooibos.